You will learn how to sew a project bag from start to finish. 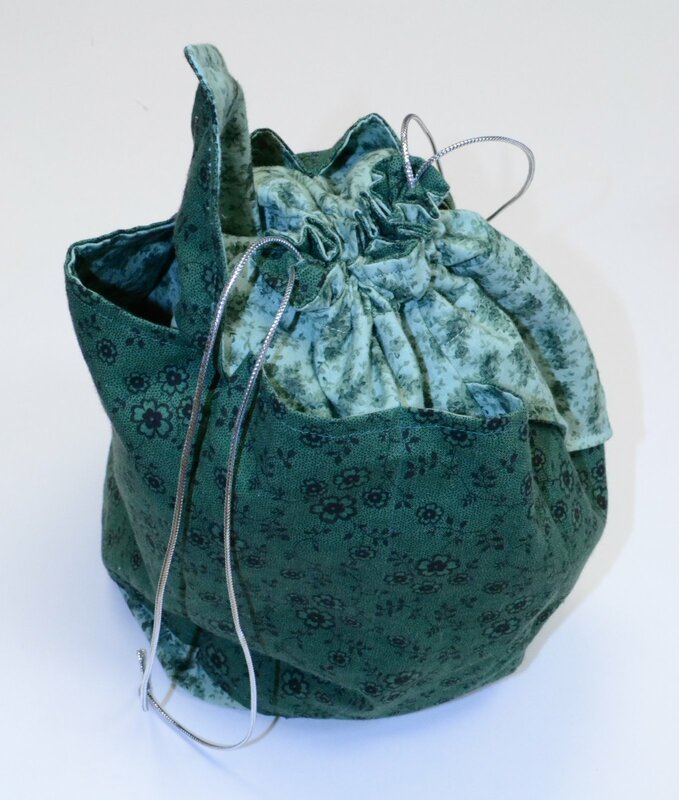 This lovely little bag is easy to assemble and has pockets. When the class is over you will leave with a finished bag. 1 yd each outer & inner fabric. 100% cotton quilt fabric is best. 3 yds of 1/8" - 1/4" satin or grosgrain ribbon that coordinates with your fabrics. 1 pair of fabric scissors. 1 sewing machine in working order. Please check to make sure machine works before class, and bring the pedal and power cord. IF YOU NEED TO RENT* A MACHINE, PLEASE LET US KNOW 1-2 DAYS BEFORE CLASS SO THAT WE CAN ARRANGE THIS. If you have any questions, please call or email. We will be happy to answer all of your questions.